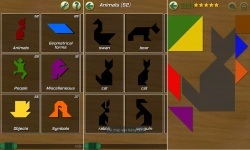 [Tangram Free Puzzles For Kids] The ancient Chinese art of tangram puzzles is a popular mathematical problem solving activity, finely tuned to bring out the best in pupils. The tangram puzzle consists of 7 geometric pieces which are normally boxed in the shape of a square. The pieces, called 'tans', are used to create different patterns including animals, people, numbers, geometric shapes and many more. 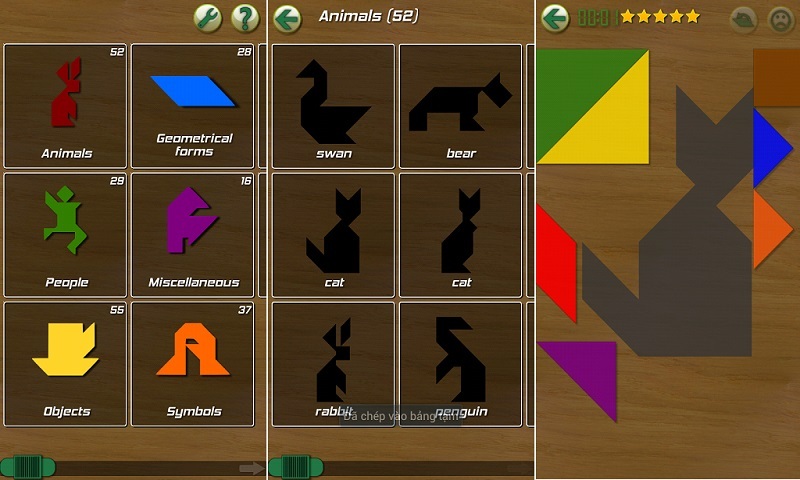 For example, the tangram animals group calls for the tans to be arranged into the silhouettes of cats, rabbits, birds . . .